WRITTEN ON THE 4 ARCS OF THE CELTIC CROSS. TIM MURPHY was married to HANNAH O SULLIVAN of RAHEEN and they initially lived at KILCOLEMAN ENNISKEANE. When HANNAH inherited the farm at RAHEEN (now owned by the BURKE family) from her father TIMOTHY O SULLIVAN they came to live in RAHEEN. 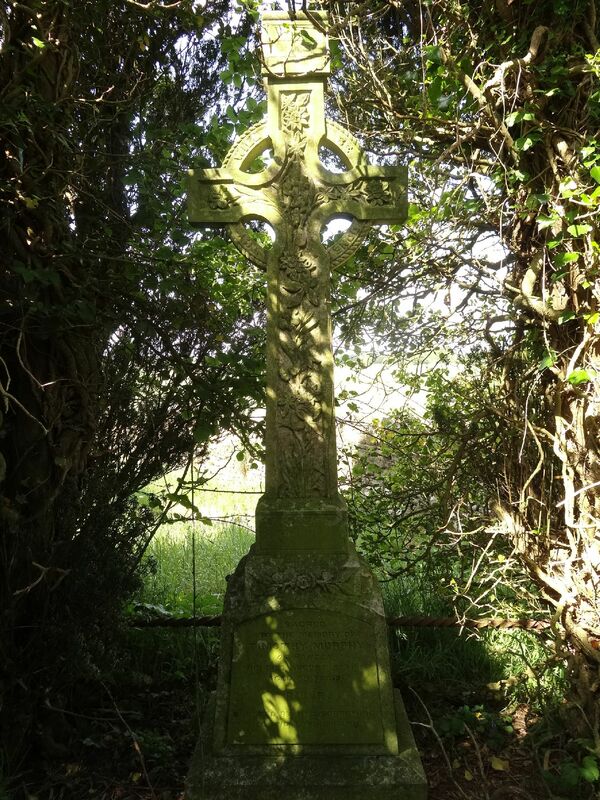 TIM was a POOR LAW GUARDIAN and on the evening of August 4 th, 1894 he was returning home from BANDON HORSE FAIR and was thrown from his horse near Tuogh Bridge and was seriously injured and died on the following day. _ he was a linguist and a translator who published the first ENGLISH translation of MEIN KAMPF. _he was a journalist and war correspondent who reported from the FRONT during W. W. 1. _He was a speaker on the AMERICAN lecture circuit for a number of years. _He edited and published 2 International periodicals that featured the leading thinkers of the time in the field of Philosophy, Arts and the Sciences. Dr. JAMES MURPHY died in 1946 and is buried in England.